Quality legal leads for attorneys can be provided by third-party lawyer lead generation companies as well as the law firms who buy from them. A third-party company could improve a measurable amount of the time and monetary resources associated with an in-house learning curve. Meanwhile, an in-house approach could yield profitable results within weeks or months, depending upon the direct marketing approach. Notably, there likely is a combination of the two that may produce a lead generation system’s Yin and Yang. On one hand, third-party leads can get your law firm up to speed on the most efficient intake process, while in-house leads can assist in developing a long-term pipeline of clients with the opportunity to improve branding. My goal here is to provide some valuable components towards achieving successful, white hat attorney seo services from an established attorney lead generation company. Before getting into the details, let me provide some background that justifies considering local website optimization. Four out of five consumer use search engines to find local information (Google, 2014). Fifty percent of mobile phone-based local search queries lead to an in-store visit within one day (Google, 2014). Sixty-eight percent of consumers use “Get Directions” or “Call Buttons” (Search Engine Land, 2015). Eighteen percent of local mobile searches resulted in a sale within one day (Google, 2014). Fifty percent of consumers who conducted a local search on their smartphone visited a store within a day, and 34 percent who searched on a computer or tablet did the same (Search Engine Land, 2015). Local searches lead to more purchases than non-local searches. Eighteen percent of local searches on smartphones lead to a purchase within a day vs. 7 percent of non-local searches (Google, 2014). The point should be clear: consumers, such as claimants, are getting past the research phase when looking for legal representation and taking action. Now that you can see the benefits of organic lawyer lead generation, how can you get into the game? That’s the real focus of this article, so check out some of the topics below. A better description would be to imagine corn silos stacked like upon another in the shape of a pyramid, or a set of ten bowling pins lined up, with the home page alone at the top. 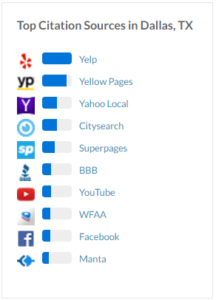 The level below the home page could be the other links in the navigation panel, like “Practice Areas,” or “Personal Injury Lawyer Dallas” and “Automobile Accident Lawyer Dallas.” Then each practice area or link in the navigation panel would have pages that extend with links extend further. Another way to explain this setup is to imagine an ant hill. The webpages would be the chambers that allow you to move or “surf” within the site, and the internal links on the pages would be the tunnels. If you were to pour water from the top entrance, or the home page, it would flow all the way to the bottom and fill up the chamber-webpages connected by the tunnel-links, until the water reached the entrance-home page. The reason this type of structure is important is because it takes advantage of the way search engines crawl and organize sites to determine their relevance. Relevancy of a website is based upon its keywords, and high ranking law firm websites put emphasis on the most important keywords at the top levels of the pyramid. Now, in a manner of speaking, the ranking power generated from each of your pages is referred to as “juice,” which is like gas in a car: the more powerful it is, the faster you go. Each of the bottom pages are pushing their juice upwards in a strictly silo-based setup, and the home page naturally receives the most juice, and thus would have the strongest power. The benefit is simple and powerful, which is that this approach gets the most juice from its pages. Ultimately, every page generates juice from the keywords within the title tags, header tags, alt tags and content, and the lower pages pass their respective juice to the pages it links to. And, in a silo structure, the links typically point upwards, following its breadcrumbs. Hence, the higher the page the higher the juice, or ranking power. Notably, this also provides a positive architectural strategy as it relates to converting visitors, because the higher the page is within the architecture, the more general the topic. So when a visitor is more likely to land on a more general topic of interest then drill down to the specific areas of interest. That, in turn, keeps the visitor on the site longer, which lowers the bounce rate, increases the relevancy, and ultimately higher page rankings. Title tags tell search engines what a page is about. You can see them in Firefox at the tab section, and in Chrome you can locate them by scrolling your mouse over the browser tab of the page. When considering optimizing your legal website, consider that according to Search Engine Watch, the title tag is the most powerful means of indicating your money keywords. And, Moz states that title tags are among the most significant elements for on-site optimization. Significantly, one highly accomplished SEO expert studied many top websites, and concluded that 25% of top 3 position websites had the keywords within the title tag. Relevancy: The keywords in your title must correctly describe the content of the page. Keyword Content Setup: Put the primary keyword first, followed by the secondary or tertiary keyword. This philosophy follows the mindset that words at the top of the page are most important. Don’t Waste Characters: A popular trend among SEO consultants is to place keywords in titles that have for years been generic. For example, the Home Page and About Us pages provide opportunities to add relevant keywords. Instead of having a title “Home Page,” make it “Personal Injury Accident Lawyer Dallas TX | Wilson Injury Law.” And, the About Us page could have the title “Car Accident & Personal Injury Lawyers TX | Wilson Injury Law.” Now the powerful and robust titles are taking advantage of relevant keywords that can benefit your rankings. Include Geotargeting Words: When pursuing clients on a local basis, you’ll want to include the name of the city, and perhaps the state as well. State abbreviations could work too, especially when running out of characters. Keyword “Stuffing”: Placing keywords in a repetitive fashion could generate a penalty, so avoid this strategy. Duplication of Title Tags: Your title tags shouldn’t be the same from page to page. In fact, using the same title tags within multiple pages could also generate a penalty. Length: The general rule is that title tags should be 55-65 characters, although many search engines truncate titles to 60 characters. Brand Name Placement: Put your brand name at the end. Google loves branding, and if your corporate name is not within an important keyword phrase, the rule is to put it last. Add Variation to Your Primary Headline Tag: Although you can put the primary keyword in your <H1> tag, or your main headline, consider adding some variance. This will improve the odds of landing on more keywords, and also avoids stuffing penalties associated with Panda related updates. There are some tools that webmasters and SEO consultants can use when constructing their title tags, such as SEOmofo, Yoast’s SEO Plugin for WordPress, and SEOCentro. These will provide information and emulation regarding about what your tags will look like, and if the characters are too long. Title tags are an opportunity to get the most out of your keyword research and implementation. Following the guidelines above will put you in the best position to succeed. Header tags are one of the best opportunities to highlight what your website is all about. Following the title tag, it ranks ahead of other alt tags and content when communicating to search engine crawlers. Header tags are text within the HTML code of your website that indicate your main headlines, or content sections. There is a standard numerical hierarchy to be followed, which is H1 to H6, and the order is demonstrative of the degree of weight each holds. So, keep in mind there is an architectural philosophy to the placement and quantity of headers. Everyone working with the content of an attorney’s website should be familiar with the fundamental aspects and best practices for header implementation. According to Moz’s Search Engine Ranking Factors 2015, onsite elements such as top-level tags have a heavy impact on optimizing a website. Writing Headers: A good header acts as an introduction to the section of content below. It’s just like it sounds . . . it’s a lead-in to the story that follows. Hence, the content below should support the header. Keywords Should Be Included: Headers should include an important keyword. While some theorize that repetitive use of primary keywords in both title and header tags is potentially spammy, others suggest the opposite. Header Architecture Should Follow a Pyramid Approach: The main header should be the only <H1> tag, followed by potentially multiple H2– H3 tags. One way to consider the order is as Topic <H1>, Heading <H2>, Subheading <H3>, Minor Heading <H4>, Sub Minor Heading <H5>, Lowest Level Heading <H6>. Try to Include a Connection Between Secondary Headers: When implementing tags H3 – H6, consider connecting them by using one repetitive word between them. For example, Personal Injury Lawyer Dallas Texas > Accident Injury Attorney Testimonies > Common Negligent-Based Accidents Filed by Claimants > Negligent Cases Filed on Contingency Fee Basis. This is somewhat of a supportive type of structure, as each header (sans the first) has a word from the previous header. Don’t Overdo it With Too Many Header Tags. Too much will look stuffy, and thus increases the chance of panda penalties. Don’t Share the Same Headers Among Pages: Each page is differentiated by the content supporting it, and title tags and header tags lead the pack in telling crawlers what the page is about. Duplicate header tags dilute the individuality and distinction each page holds, and that prevents efficient navigation and comprehension of the site. Don’t Mark Section Headers with CSS or Style Elements: Among the most basic principles in head implementation is to refrain from creating headers by increasing font size, using CSS, or other style methods. HTML markup, or WYSIWYG-based code within WordPress platforms should be strictly followed. When building out your attorney lead generation campaign through local optimization, citations are among the most important off-page link building strategies. What is a Citation? 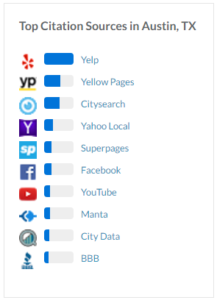 Citations are mentions of your company name combined with other data. Another way to describe citations are online business listings, typically within directories, in the form of Name, Address, and Phone Number (“NAP” in optimization language). Often the website link is included, and if that option is available you should jump on it; it’s extremely beneficial. 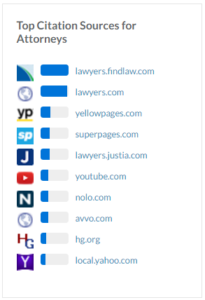 Some of the most common citations that link back to your law firm’s site include Facebook, yellopages.com, and Chamber of Commerce sites. As mentioned in the heading of this section, accuracy plays a huge role as a ranking factor. It’s commonplace to hear search engine optimization consultants state that NAP citations that are different by a comma, space, or a period reflect poor citation link building practices. You can see the accuracy of your NAP with MozLocal. Significantly, it is important to have a well-rounded link map and link profile. Both the origin and anchor text require variety and relevancy. Generally, there are four different sources for basic citations (not including standard link building methods that may generate citations, such as good ole-fashioned press releases): local directory citations, industry-related citations, social media citations, and major citation data aggregators, like Infogroup, Neustar (aka Localeze), Acxiom and Factual.. Regarding local directory citations, Moz used Whitespark’s Local Citation Finder to determine the “best” citations in this category. The method including searching the most frequently searched keywords within 71 categories from 53 major U.S. cities, 20 medium-sized cities, and 20 smaller-sized cities, then giving a score to sites based upon ranking position and total occurrences. Check out some infographics from Moz displaying the results for the top three cities in Texas are below. Now, what could be the most obvious question is: How can a lawyer get these valuable links? Naturally, you can hire an attorney seo consultant. Or, as mentioned earlier, one common way to generate citations beyond directory listings is through press releases. Finally, you can implement tools like Moz Open Site Explorer and Ahrefs.com to see where your competitors get links. Inaccurate NAP information may rank higher than accurate data. This could direct prospects and clients to the wrong location and contact information. Your online reviews could be split among different listings. This likely will decrease the benefits of positive testimonials and feedback, thus lowering conversions. Decrease trust scores due to unclear signals about your website data and brand. Listings with negative and inaccurate information and reviews could rank higher than those with positive and correct data. This is a conversion killer. When your law firm requires updating information, because of a move, new phone number, or new email addresses for associates, any inaccurate listings may remain unchanged if you only change one of the multiple authoritative listings. Ultimately, every marketing campaign dealing with SEO for law firms should encompass a very detailed oriented approach to getting accurate citations. Follow the information and sources listed above for solid results. Google is the king of search. Countless studies indicate overwhelming presence the search company has within the local market, so if your law firm is not optimized on Google Maps, then you’re losing out on what many consider to be the primary source of in-house attorney leads. It still floors me when I see attorney websites that have no listing, and the partners are wondering why they aren’t generating personal injury leads. The process has changed a bit over the years, but generally it’s not too difficult. One place to start is going to one of Google’s instruction pages. There is a verification process you’ll need to begin wherein Google mails a postcard that has a PIN# associated with your firm’s location. The search company does not authorize post office boxes at the time this article was originally written. So, to start, you’ll enter your PIN after you login to verify your law firm. Google pursues this process as its mechanism to verify the legitimacy of your business and validity of the business owne. Only the business owner shall claim the GMB page; if your firm has hired an SEO consultant, permission can be provided to manage your listing while master-level administrative authorization remains with the owner. Below are some of the specific tasks you will need to complete. Verify Law Firm Information. The first step in claiming your page is to go through Google’s verification system, which is complete once you see a checkmark by the word “Verified” by your firm’s name when you see the profile page. Verify Name, Address, Phone Number (NAP). As mentioned earlier, the data that makes up your law firm’s NAP needs to be the same across your entire Google My Business profile. Remember to check MozLocal against all of your listings. It’s also important to show a local number rather than a toll-free number, as it shows your company is local-oriented. Verify Your Business Category. Since this article is geared towards attorney SEO, target readers of this article will choose the correct category, and may have the opportunity to choose supplementary services. Most readers here will be “Attorney” or “Personal Injury Attorney.” Check out this list of Google My Business categories from Mike Blumenthal. Verify Your Law Firm Description. The categories of practice areas and claims that your firm focuses on should be between 100 and 200 words. A personal injury firm that concentrates on auto accidents could say something like this: “Wilson Injury Law provides professional and experienced settlement and litigation of auto accident injury claims. [Add information about your firm and why clients choose you over competitors. Call [phone number] today for a free, no-obligation case evaluation and consultation. Verify Your Business Hours. This section should be consistent across all citations from other directories. Moreover, if your firm has holiday hours, those should be included in a separate paragraph. Add Images and Videos. Additional images and animoto-style videos increase client engagement and decrease bounce rates. Images of attorneys and staff humanize the experience when reviewing potential law firms, which can increase conversion rates. Don’t forget to save the images and video files with keywords. Filling out all the cards and options adds more relevance and signals from the listing, so don’t be afraid to go all out. Although the Google My Business and Google Maps that your law firm pursues is also considered a directory, the primary goal of this article to generate the best rankings from exposure to it. However, Bing Places for Business provides its own online directory that should also be considered. The setup is much like Google’s. You may have heard that here at Google we’re obsessed with speed . . . As part of that effort, today we’re including a new signal in our search ranking algorithms: site speed. Site speed reflects how quickly a website responds to web requests. When considering Google’s underlying philosophy that highlights user experience, it makes perfect sense to emphasize page speed when considering onsite optimization tasks. Slow site speeds hurt user experience and can divert users to other search engines. Secondary to providing a positive search experience, the company also mentioned that page speed helps reduce operating costs. There likely are a lot of additional AdWords clicks that the search giant is missing due to slow loading pages. And that, in my opinion, should be a serious consideration when ranking websites. Below are some important statistics to consider when realizing the importance of a fast loading websites, and how slow loading sites frustrate users and negatively impact publishers. 53% of mobile site visits are abandoned if pages take longer than 3-seconds to load. For every 100 milliseconds of page speed improvement, there was a 1% improvement in revenue. Kissmetrics determined that load speed delay of 1% could decrease conversions by 7%. That suggests that a 4-second delay could result in an astounding 28% reduction in conversions. Hence, a poorly constructed web page could result in shoppers and visitors abandoning their purchase and bouncing from your website. To get more insight into the affects page speed has on ranking and conversions, check out an infographic from Kissmetrics. Now that the importance of page load speed has been demonstrated (although, I would be remiss if I didn’t mention what likely is a major reason why page load speed has risen in importance, which is the massive increase in mobile phone internet browsing), let’s discuss some tools law firms can lower their page load speed to get more attorney leads. FireFox PageSpeed Insights. This tool was developed by Firefox/Firebug, and it evaluates how your web pages perform, then follows up with suggestions. Nowadays, the tool looks at results from both mobile and desktop devices, and provides a score between 0 and 100. The closer to 100 your page ranks, the better, with a threshold score of 85 suggests your page is in good condition. PageSpeed Insights focuses on two factors: Time Above-the-Fold (which is the measured by the amount of time it takes for the above-the-fold content to be rendered by the browser) and Time to Full Page Load (which is measured by the amount of time it takes for the page to be fully rendered by the browser). The suggestions PageSpeed Insights provides are geared towards enhancing page speed performance based upon HTML structure and external sources. Thus, the user’s network performance will also be an inherent factor. The suggestions provided are prioritized, per below. Upload speed by PageSpeed Insights. Faster upload speed can enhance lawyer leads for attorneys. YSlow. Yahoo! Provides this tool that can be installed as an extension, and it has become very popular among many attorney seo consultants and webmasters. The tool looks at web pages and provides insight as to what may be causing delayed upload speeds. The output provides a summary of suggestions and displays statistics about the specific page analyzed. According to the company’s Exceptional Performance team, there are over 30 guidelines that have an impact on upload speed, and just over 20 are considered testable. Below is the table provided by Yahoo!’s YSlow tool and how the rules work. WebPagetest. This is one of a few tools that display a waterfall image of the elements of your page loading, as well as checklist of tasks to improve speed. This tool has been substantially supported and developed by Google with the goal of improving all web page load speeds. Originally, AOL developed the mechanism for internal use, and was introduced outside the company in 2008. At the time of the drafting of this article, GitHub was assigned to be the group who actively develops the tool. Google PageSpeed Insights Tool. Obviously developed and supported by Google, this provides a guideline of best practices for website optimization speed. Similar to FireFox’s version, this tool give a score between 0 and 100, with higher scores being better. Similar to FireFox, this mechanism shows results for mobile and desktop use. Both will commonly recommend reducing the file sizes the webpage relies on, which can be accomplished by using tools like io and TynyPNG. Compressor.io and TinyPNG. Inexpensive, and often free, tools like these can lower the image file sizes by over 80% in some cases while not greatly affecting the image’s quality. In addition, you can lower the image sizes dimensions without measurably hurting quality. One practice to consider here is that your images should never be larger than what you want them to render, and you should not decrease their size with HTML tags or CSS. Below are some examples of the results. As you can see by the information, page load speed is an important factor. Although many webmasters, experts, and SEO consultants for law firms suggest that page speed is not something to get to entrenched with, the author of this article has seen rankings for primary keywords move from page one to page two, or from the bottom of page one to within the top three positions of page one. And it makes sense, considering how many people abandon pages due to service delays. Not to mention, search engines lose lots of revenue every second a page is delayed, and every opportunity lost in paid advertising. My advice: get your website to load as fast as possible. It doesn’t just help rankings, it helps conversions. Now do you feel the need for speed?! Approximately 80% of searches result in a click on organic impressions. And of the remaining 20%, those go to pay-per-click campaign impressions. 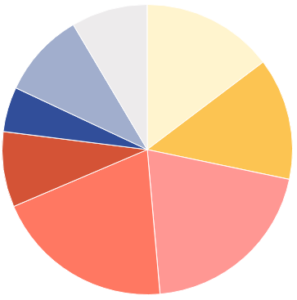 Which are dominated by Google’s Adwords. And seeing how local attorney SEO efforts are heavily focused, if not entirely focused, on Google My Business and Google Maps, Adwords is the perfect place to start. Notably, using paid search based upon keywords should be a part of your keyword research phase, and this provides the opportunity to perfect which words you use with an additional focus on conversions. So, part of the challenge (and purpose) is to determine what your prospective clients are searching. The best place to start when brain storming relevant keywords is your website. Like Google says, “Think about the words users would type to find your pages, and make sure that your site actually incudes those words within it.” Remember this statement going forward, because if you are tracking keywords that you don’t rank very highly for, start with determining if those keywords exist on your page, and importantly, where. Practical advice starts with creating smaller keyword phrases based upon what your visitors might search for. Start with phrases that are one or two words in length. Then, write down the longer phrases that extend beyond 2 words (“long tail keywords”). Once you’ve written your first set, see if you can divide the phrases into two categories: research keywords and transactional keywords. Research keywords are phrases that users consider when they are prior to the purchasing phase. For example, people who are thinking of what type of claim they might file if they hired an attorney could lead to a phrase like “Types of Personal Injury Claims” or “Types of Car Accident Claims.” These phrases suggest that the user has not settled on hiring an attorney yet, even though it might be more appropriate to discuss potential claims with an attorney. Now, the same individual might complete their research phase and begin conducting search for an attorney with the keywords “Personal Injury Attorney Dallas TX” or “Car Accident Attorney Dallas TX,” for example. These indicate the person is ready to speak to an attorney, and thus have entered the purchasing phase by conducting a search with what likely would be categorized as transactional keywords. Once you’ve got your keywords put together, you should use multiple keyword research tools to determine their value and difficulty. Here are some well-known keyword planner tools to consider. Google Keyword Planner. This is the most well-known keyword research tool, and it can be accessed from your Adwords account. Notably, many search engine marketing consultants suggest at least two research tools in order to get more variety and data. Keyword Finder. This is one of the best tools on the market. I have found that it generates more opportunities relative to Google’s Keyword Planner. Plus, it provides much more data. One of the most valuable pieces of information you can locate is the level of difficulty associated with the phrase. This is valuable because it allows you to see what degree of effort will be required for success. In addition, you can see how your competitors are doing with SEO ranking. Some of the data includes competitors’ ranking for the keyword, Domain Authority, Page Authority, MozRank of the URL, MozTrust of the URL, number of external authority-passing links to the URL, number of Facebook and Google+ shares, and estimated visits for each ranking position. This may be one of the most important tools a webmaster or attorney SEO consultant could use at this stage, and it comes highly recommended from successful and experienced search engine optimization professionals. This tool, very well-known and highly recommended, provides a number of stats beyond keyword research. It shows both pay-per-click and organic search results. You can use it to see how you currently rank for keywords, or look at your competitors to see steal their keyword ideas. Ahrefs Keyword Explorer 2.0. This keyword research tool has made a lot of progress since its first version, including the “also rank for” feature. Ultimately, the goal is to locate the best keywords for your law firm. That starts with determining what words and phrases claimants use when doing a search for an attorney, or when conducting research for their claim. Most, if not all, of the tools listed provides updated data based upon the changes with consumer search patterns. Notably, many SEO keyword research methods are fallible, as these tools often provide lists of phrases that may be ineffective in converting clients. Not saying that research-based keywords are bad, because a claimant could land on an attorney’s website that has answers to accident injury questions during the research phase. Naturally, that should lead to the claimant submitting information on the contact form. The overall objective of spending time and money on pay-per-click is to uncover the keyword phrases that will drive revenue. So rather than spend months of time and money trying to rank your web pages for terms that don’t perform, spend resources on keywords that truly can increase your intake of personal injury leads.4. When selling any product or service on a business-to-consumer (“B2B”) basis, positive reviews can make a huge difference. Significantly, reviews have been around much longer than many attorneys realize. You see, reviews essentially are the same thing as testimonials. And when you’re trying to convince a person to purchase your product or service, unbiased statements from a client may be the best form of non-salesman salesmanship. Another way to appreciate the value of reviews and testimonials is to consider the three modes of persuasion: ethos, pathos, and logos. Ethos is an appeal to the credibility or authority of the speaker; pathos an appeal to the audience’s emotions, and; logos an appeal to the logic or pragmatic aspects of the audience’s mentality and decision making capacity. Lawyers should relate to each one, as these factors are used when arguing cases. Naturally, reviews and testimonials are directly correlated towards establishing credibility, and they are effective because they are genuine, good faith demonstrations of what an individual considers to be fact. They become a source of trust, as they are a show of success from your work. Significantly, reviews and testimonials can be considered to assist with the logos mode as well. If prospective claimants trust and believe the client-testimonial, then it stands to reason they believe the facts behind the statement. According to Wikipedia, logos is “normally used to describe facts and figures that support the speaker’s claims or thesis. Having a logos appeal also enhances ethos because information makes the speaker look knowledgeable and prepared to his or her audience.” Perhaps now the benefits of reviews and testimonials are starting to sink in. The effects they have on converting clients is strong and undeniable. It is estimated that reviews account for between 8.4% and 9.8% of the total ranking factors, depending upon which study you read. And should tell you that testimonials cannot be ignored when implementing a complete attorney SEO campaign, especially when considering branding of your law firm. Below is a snapshot of some of the primary search engine optimization ranking factors, and how review testimonials compare. 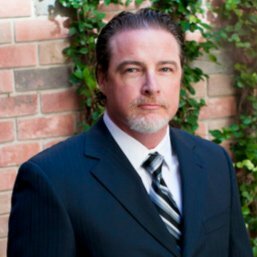 There are many factors considered when choosing a personal injury attorney. Reviews are gaining importance. Quality legal lead generation and local search engine optimization go hand-in-hand. Why? Because generating cases from your own website likely generates the highest quality and quantity of leads. As for quantity, consider a study from eConsultancy that demonstrated organic search generated a whopping 94% of clicks versus pay-per-click, which was 6%. The demographic makeup of paid search market is women and older users. In fact, between 70% to 80% of users don’t consider paid impressions, as they concentrate on organic results. *organic CTR based upon 1,670,150 keyword searches for 44,377 websites in 2016. The good news for non-branded searches is that the most recent research suggests there is a respectable amount of traffic to convert beyond the first three positions, especially for non-branded searches. Naturally, the objective is to get in the top three positions due to the concentration of clicks generated in those spots. So why are users able to see reviews of attorney services directly in the search engine ranking page (“SERP”)? Well, during 2009 Google announced in their Searchology conference the idea of a rich snippet, which are details about certain pages that Google displays in their search results. Typically, review snippets are a combination or average of the total review scores. Google pulls the data and displays it on the results page, and can include some of the specific comments as well. Nowadays, these are ranked on a numeric scale between 1 and 5 stars, with 5 stars being the highest. When speaking with other SEO consultants, one of the things they point out is that the reviews and stars catch users’ eyes. The tendency is when there are a lot of reviews, it is even more eye-catching, and it can be a strong motivator to look at the website and/or review the testimonials. Now that the importance of reviews should be understood, let’s take a look at some strategies for using effective reviews to improve conversions. There are a number of review and reputation marketing software programs that allow webmasters to generate, track, and manage testimonials. The premise is that law firms will send a review form to clients via email or other marketing platform, and ask the client to complete a survey. Soliciting feedback from customers allows the attorney to discover what they liked and disliked about their experience. However, at the outset, the client is completing a form that is returned to the firm and remains private. If a review is positive, the client may automatically be prompted to click a button or perform a task that would make their review public on popular review sites such as Google+, Facebook, or Yelp!. Or, they may get another email asking them to publish their positive testimonial. Once published, the opportunity to get the word out through social media arises, if it is not already part of the review. Grade.us is a review software promotes itself as an automated review program that generates better reviews on Google, Facebook, and industry-focused websites. The platform offers the ability of locating dissatisfied customers prior to publishing a negative experience, monitoring testimonials from different review sites, enhancing positive reviews by publishing them on your website. Reputology considers itself to be the best-of-breed Reputation & Review Management tool for companies operating multiple locations. The philosophy is like other programs that try to locate the reasons for customer satisfaction, dissatisfaction, complements, and complaints in order to be as proactive as possible. That is the first step, after all. The has Fortune 500 clients to boast as credibility. Reputation Loop provides a feature-rich backend with a focus towards promoting positive testimonials for local-based businesses. Up-to-date reviews are fostered by its Automated Customer Feedback Loop that allows an immediate summary of their reviews. Alerts appear when negative reviews are uncovered that allows the business owner to react, and positive testimonials receive a prompt to share. Hootesuite claims to serve more than 10 million users in over 175 countries. They are based in Vancouver, Canada and have offices in eight countries. Because the company has multiple services, the management and tracking of reviews is a part of a whole gambit of services. These include managing social profiles, automating content publishing, and measuring social media analytics. Yotpo is another company that sports Fortune 500 retail companies as clients, including Sears and Staples. They claim to be able to generate nine times more content than their competitors through the platform. That content is used to improve organic listings and subsequent traffic, and improve conversions. Improve results due to partnerships with Google, Facebook, Instagram, and Pinterest. TinyTorch is a social media based platform that offers the ability to find, create, organize, and share social media content to Facebook profiles, pages, events, groups, and Twitter accounts. With a focus towards social media, the platform provides opportunities to maintain active social media status and content. The idea is to combine an active social media presence with positive testimonials. 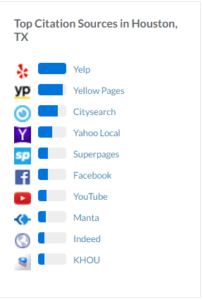 As you can see, the hottest focus is to obtain reviews on Facebook and Google My Business pages. Depending upon what you think is more influential beyond that, like Yelp! Or Yahoo!, you can put more effort into other social media outlets. But those are considered by many to be the top four locations that have the strongest impact on reviews and corresponding ranking and conversions. Significantly, obtaining positive testimonials from Google may be the best place to put your efforts because these appear with your GMB page rankings, which is certainly a factor for ranking and converting. If you want to get reviews from Google without using a reputation management software platform, the best way is to send your clients an email that includes a link where they can post their experiences. Naturally, there is the risk that a negative review will be posted, and that is the reason for using the review companies above, as they largely remove the risk of clients publishing negative experiences. The software platforms motivate the client to post their comments on a private forum that doesn’t get published in the public domain, and allows the firm to communicate with the client, resolve issues, and convert the client into a happy referral. The only problem with sending direct emails with the review link from Google is it may not be easy to navigate to the correct place. So, its recommended that you send the link in easy-to-read anchor text because the actual link is quite long. The Internet has grown exponentially for years, and continues to show no signs of slowing. The importance of a local internet presence is undeniably valuable. There are dozens of statistics that show how it a driving force in generating business for local-based enterprises. If those statistics aren’t enough to convince you of the power of local attorney seo services, consider the information below. Legal Leads are Highly Targeted and Timely. The number one reason claimants search for personal injury lawyers is because they are researching a claim or an attorney who can handle it. Although many searches are based upon a specific firm, also called branded searches, many others don’t have an attorney in mind. Thus, when a claimant cannot get a referral or is in a hurry, resorting to a local search is becoming the norm. Branded Lawyer Leads Often Converts the Highest. When a claimant lands on your website, they are likely doing two things: researching aspects of a potential claim, or researching for an attorney to hire. Notably, directories often take up first page rankings, and if your firm is prominently ranked and listed in the GMB directory, you could convert up to 50% of potential claimants into clients. Mobile Use Has Increased. The advent of the Internet has spread to cell phones, and nowadays mobile digital media generates more than the desktop counterpart. Yet, mobile customers have been bigger purchasers than desktop by a wide and growing margin. If you don’t want to miss out on a potential customer, local SEO is critically important. Growing Dependence and Reliance on Local Listings. For many people, a growing reliance on local listings has arisen. Driving around with a Mapsco on your lap is a thing of the past. So, when locating the business while driving locally, people often have their GPS directing them exactly where to go. And if you don’t have a listing, your client might be wondering why. Don’t leave them wondering about your business, Remember, mobile use has driven huge numbers of purchases, so take advantage of the opportunity. High local search rankings naturally lead to improved traffic and sales. But sometimes you need a listing so people can locate your firm. Law firms should pursue the steps above in order to optimize their business for local SEO and get citations in directories and review sites. There needs to be detailed and unwavering consistency when including prominent contact company information, such as name, address, phone number (NAP), and website when possible.